In case you didn't know, we live in Atlanta, known to every person who doesn't live here as "Hotlanta." The nickname makes sense, especially at the end of July. Louis has a cooling bed, vest, blanket...all justified. 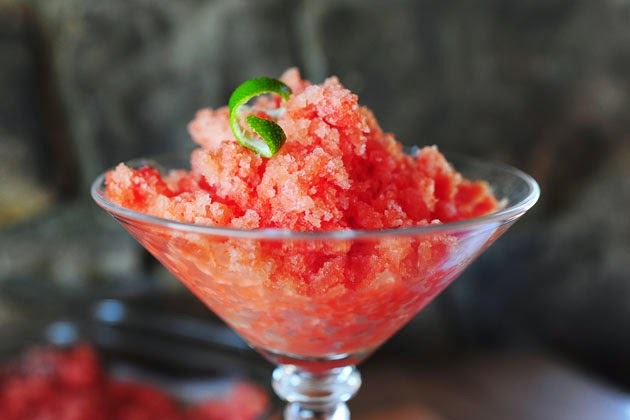 Something I like to eat to cool down in the summer is granizados-fruity snow cones more or less. I started eating them when I lived in Valencia, Spain a few years ago and for 3€, they were well worth it. Granizados in Spain are traditionally lemon but today, I decided to mix it up a bit. We went to Costco and did a major fruit/healthy goods haul, including a watermelon for $4...which Charley dropped when he was trying to carry a million things in at once. 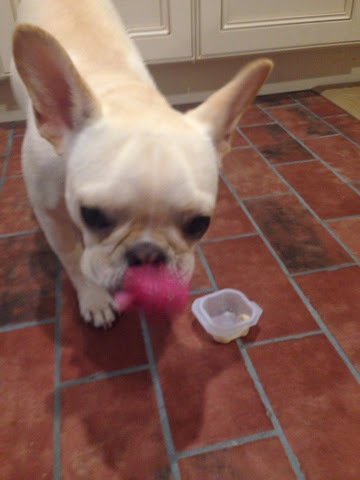 No use crying over dropped watermelon! GRANIZADO TIME! 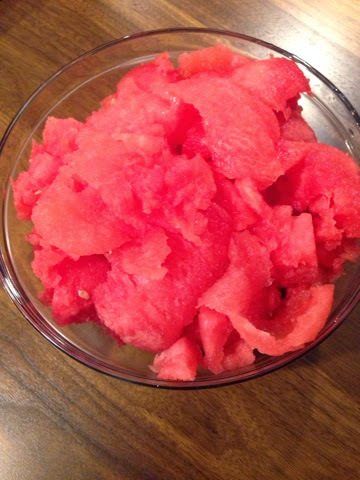 Slice the watermelon in half and take out all the fruity pink goodness and put it in the largest bowl you have. I don't have a bowl that big so mine had to go in several big Pyrex bowls. For all the stuff you can't cut out with a knife, use a big scoop! An ice cream scoop or a chicken salad scoop will work. 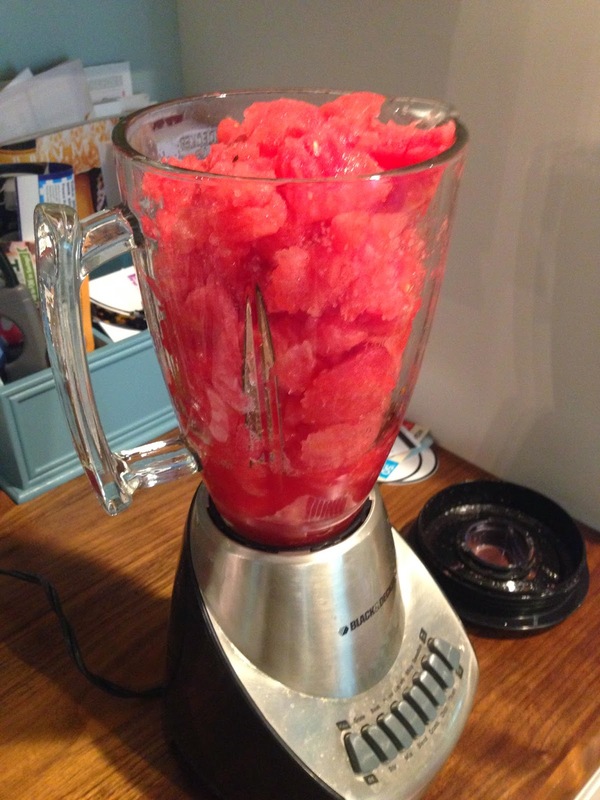 The stuff that gets scooped will be pretty mushy but hey, less work for the blender! 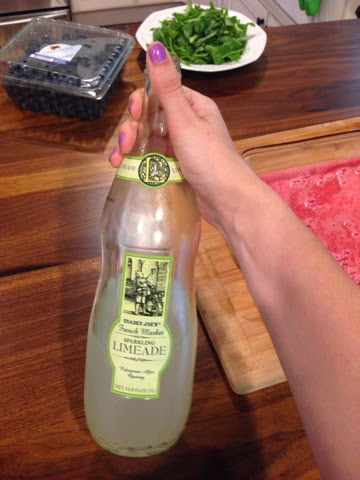 about 1/2 a cup of limeade soda (Trader Joes) ***you can also just use lime juice if you want and do about 2tbsp. 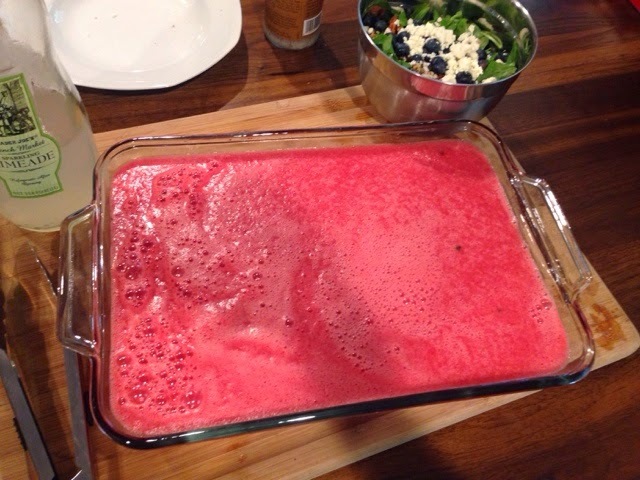 ***if you want to make this so Chelsea Handler wants to come hang with you, pour in tequila when you serve it. Pour the mixture into the largest, FLAT, glass dish you have. Cover with Saran Wrap or Press and Seal if you can't find your Pyrex lids (I am convinced Louis uses them for a homemade drum set under the deck or something). Freeze for about 3 hours or until it's well...frozen. Duh. 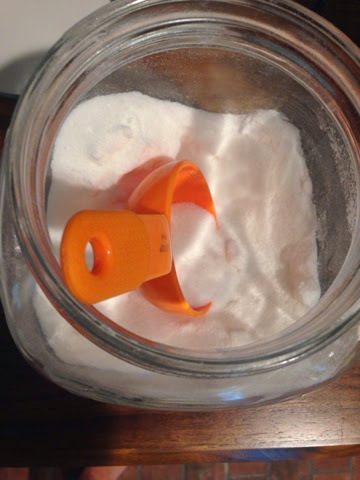 Use a spoon or an ice cream scoop to scoop it out and serve in pretty glasses or bowls. Mine's in the freezer and I'm serving it tomorrow night for our Macchu Picchu planning party for dessert!